This article first published on October 13, 2016 in the Juneau Empire. Surreal. Having the disorienting, hallucinatory quality of a dream; unreal; fantastic. We all felt it. Sailing through Simpson Strait on an arctic expedition, a strange and pervasive sense of giddiness held fast to the outer decks of the ship. We were in seldom visited waters. Seldom visited landscapes. And the place rewarded us, revealing a high latitude, polychrome sunset that took four hours from start to finish. Waters so glassy we couldn’t tell where the sea stopped and the sky started. And the moonrise. 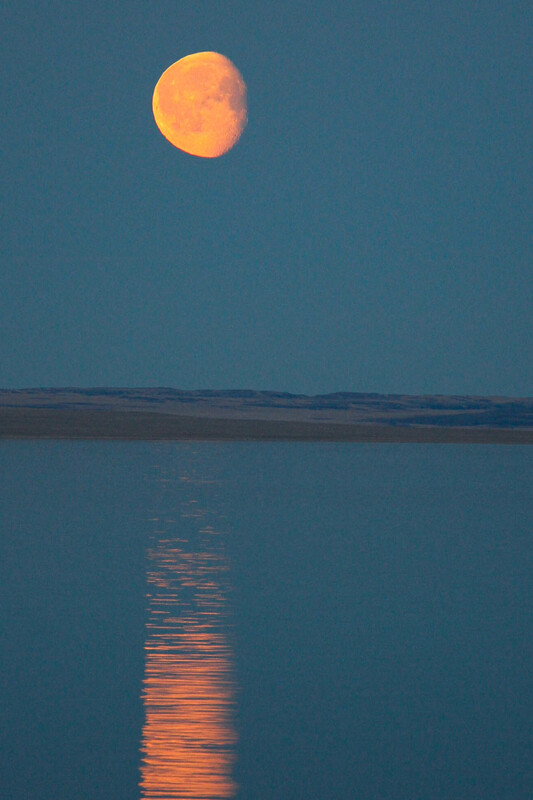 A fat orange disc rising from the east, spreading its reflection over the mirror of Simpson Strait. Nothing for miles and miles but miles and miles. We were on the trail of arctic legends. Hundreds of Inuit hunters for generations crossed (and continue to cross) this stretch in pursuit of food and hides. Around 1850, Sir John Franklin and his 128 men met their makers near here as they sought the Northwest Passage, succumbing to lead poisoning, scurvy, starvation, insanity. And a team of seven hardy Norwegians, led by Roald Amundsen on a small herring fishing boat called the Gjoa, sailed this exact piece of water in the summer of 1905, becoming the first vessel to successfully transit the Northwest Passage. I work for Quark Expeditions, a company that specializes in expeditions to the Arctic and Antarctica, providing opportunities for passengers to experience some of the wildest corners of the planet. Quark’s first transit of the Northwest Passage came in 1992 via the Kapitan Khlebnikov, a Russian icebreaker converted to a passenger ship. 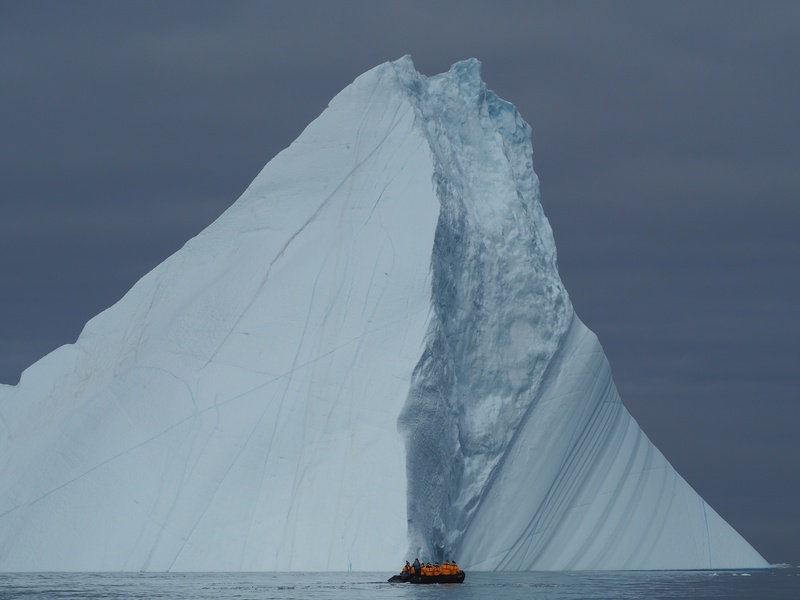 This August, I made my first journey through the Northwest Passage, working aboard the ice-rated Sea Adventurer. The Northwest Passage occupies a reverential place in many mariners’ and historians’ hearts. For centuries, the only routes between markets in Europe and Asia were overland via the Silk Road, by sea around the Cape of Good Hope in southern Africa, or by sea around Cape Horn in South America. All of these routes took months, if not years to complete and were fraught with danger. The Northwest Passage was believed to resolve all that. Although it hadn’t been found or confirmed for nearly 400 years, many were convinced that a route existed within these Arctic islands that would connect Europe to Asia by sea, greatly reducing the time and money needed to sail around Africa or South America. That open-water passage wasn’t confirmed until 1906, when Amundsen and his men finally arrived in Nome after three years in the High Arctic aboard the Gjoa. Since that time, less than 200 vessels have traversed the Northwest Passage. Despite receding sea ice and somewhat reliable open water conditions in late July and August, the Northwest Passage remains rarely transited. Many of the straits and sounds are chocked with rocks and shoals and shallow waters. The “shipping lane” in Simpson Strait, for example, is just 30 feet deep in many places, complete with a full suite of exciting navigational obstacles, and little in the way of emergency services for hundreds of miles. Although largely ice-free for two months in the summer, the Northwest Passage isn’t exactly a walk in the park. And the Panama Canal remains the favored route for commercial freight—not the Canadian Arctic. For the short term, it appears as though the Passage will continue to receive minimal traffic. 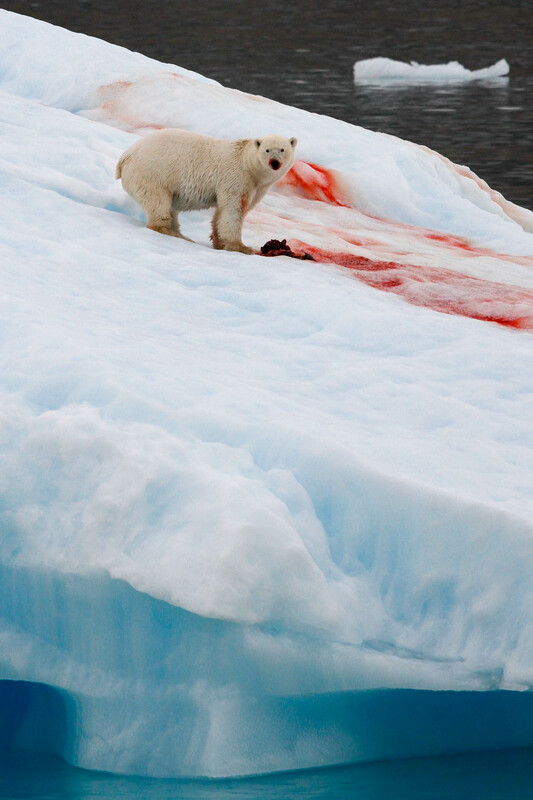 Which means: the Northwest Passage is still one of the wildest places on earth. 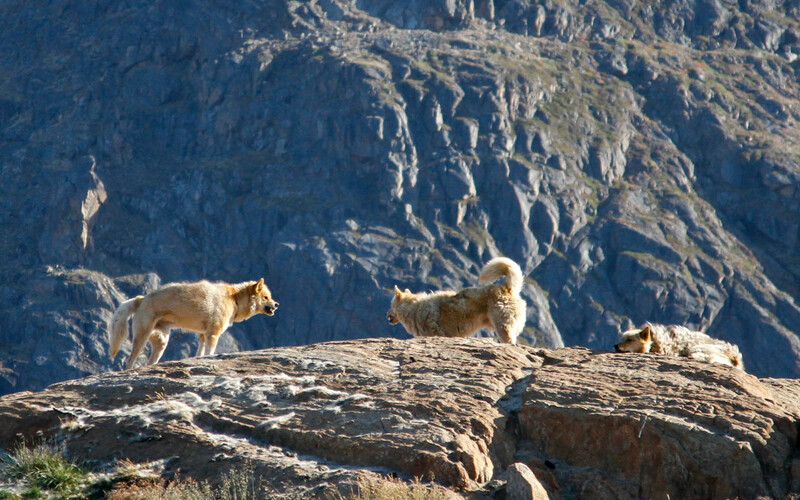 The 1,300 residents of Uummannaq rely on the wild for their livelihoods. Hunting and fishing are the anchors of this town, and are dependent upon strong winter and spring sea ice conditions. 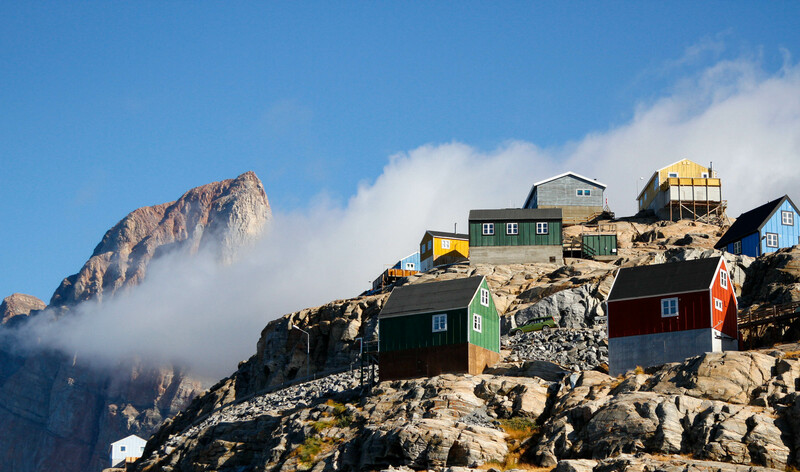 Uummannaq, Greenland. (Photo credit: Daven Hafey). Rogue storms and remote subsistence hunting villages. 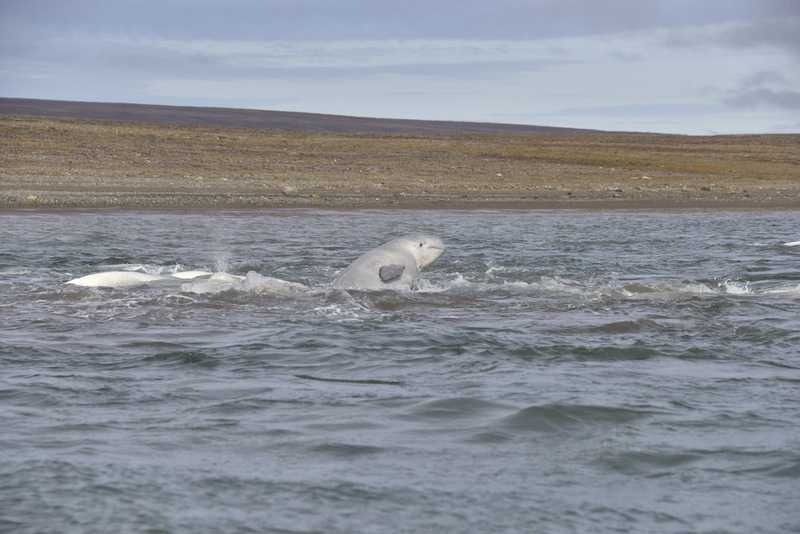 Polar bears and narwhals, millions of migrating waterfowl, musk ox, and belugas. Snowy owls, gyrfalcons, and polar wolves. And a wild serenity that remains as unforgiving as it is beautiful. We carried on through Lancaster Sound, visiting the shores of Devon Island and Beechey Island—famous overwintering grounds for 19th century explorers. With this unbelievable surprise, we killed our motors and drifted with them in the shallows. We were surrounded. Belugas in every direction, cruising, breathing, and singing, occasionally investigating us but otherwise paying us little attention. We sat in their company for hours. It was the first time anybody on the ship—staff or passenger—had experienced anything like that. A moment that every person on that ship will remember for the rest of their lives. A few days later we again needed to seek protection from heavy winds, and we chose another nondescript bay on the Boothia Peninsula. The landscape looked absolutely desolate. Gravel and scree, gently rolling ridges with occasional wetlands and tussocks. Not much else. Or so we thought. Once we arrived on shore, we immediately noticed a herd of musk ox in the distance. Two staff and I made the call to gather our entire group together and zig zag toward their general direction, mimicking the movements of a herd of caribou. Which amazingly worked, as the musk ox allowed us to within 200 yards of them before they slowly moved on to greener pastures. Splitting our large group up, we headed in different directions, with me leading a group of 10 hikers who wanted to cover some miles before getting back on the ship. On our walk through seemingly lifeless terrain, we encountered a small herd of caribou, two snowy owls and a gyrfalcon, and an arctic fox. Oh, and a polar bear. Which had somehow managed to hide in the gentle undulations of the terrain until it was within 300 yards from us. I immediately readied the flare pistol (we carry 30.06 rifles for protection as well), and coalesced our group into a tight unit. The bear continued to close the distance, getting to within 250 yards of us as we retreated downhill. The bear followed for a short while, but eventually lost interest and headed in another direction. The best possible outcome. The bear didn’t get any reward from us, nobody was hurt (including the bear), and we all had a visceral and raw on-the-ground experience with an iconic apex predator. By that point, we were near the end of our journey, with the shallows and shoals of Coronation Gulf in front of us. Safely transiting through the gulf, we carried on into Dolphin and Union Strait, a huge body of water that merges into the Beaufort Sea. On the west side of the archipelago of Arctic islands in Canada’s Far North. A successful traverse of the Northwest Passage, from east to west. All that was between us and Nome was the high seas of the Beaufort and Chukchi, and a few days at full speed ahead. Instead, we turned around and anchored at Kugluktuk, another small Inuit village with an airstrip, where passengers and several staff disembarked, boarded a plane, and headed for our respective homes. I was home the next day, in time for lunch. Just like that. Surreal.